Belle Grove Plantation – Up for Auction! As most of you know, I love auctions! And this one has really got my attention! I was notified by a private individual, who has been following our blog, that she has an auction I might be interested in. One part of our history really caught her attention, that of Thomas Lomax Hunter. Thomas Lomax Hunter was the grandson of Carolinus Turner, the gentleman planter who owned the plantation from 1839 until his death in 1876. Carolinus was responsible for the architectural changes that took Belle Grove’s mansion from the simple Federal plantation house to the grand Greek Revival mansion that it is today. Thomas’s mother, Susan Rose Turner, known as Rose Turner, was born here as was her son, Thomas. Thomas would later go on to become a Virginia State Poet Laureate. This individual is in possession a number of original copies of poetry, signed photographs, book, newspaper clippings and one unpublished poem. She has recently put these items up for auction on ebay. She was kind enough to notify me of this auction. Sadly, the starting bid is well out of our price range right now with all the purchases we still need to make to complete the mansion. Below is the information from the ebay auction of the items. Hunter, Thomas Lomax, lawyer and poet, was born in King George County, Va., Mar. 6, 1875, son of Frederick Campbell Stewart and Susan Rose (Turner) Hunter and a descendant of James Hunter, a native of Scotland, born there in 1661, who immigrated to Virginia. . . . His father, a judge, served in the rank of captain in the Confederate Army during the Civil War. After receiving his preliminary education with private tutors, the son attended William and Mary College and Georgetown University, where he studied law. Admitted to the bar of Virginia in 1908, he began practice in King George and continued there independently until the close of his life. Outside of his legal activities, his influence was felt in Virginia through a column, “As It Appears to the Cavalier,” which he contributed to the Richmond Times-Dispatch from 1929 until his death. Concerned with state and national affairs, a selection of these writings was published in book form as “Columns from the Cavalier” in 1935. He was a frequent contributor to literary magazines and was best known as a poet. . . . In 1948 he was named poet laureate of Virginia by the general assembly. 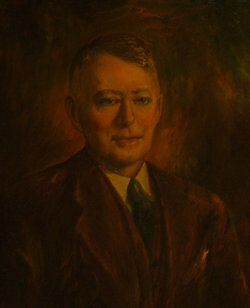 In 1918 and 1920 Hunter represented King George and Stafford counties in the Virginia House of Delegates, where he supported the causes of woman suffrage, improved roads, compulsory education, and higher education for women, and opposed prohibition. During the First World War he served as food administrator for King George County. . . . Gardening and farming were his chief recreations. . . . He died in Fredericksburg, VA., June 19, 1948. THE S.E.P. WOULD NOT THINK IT GOOD FORM IF BY ANY CHANCE THEY HEARD OF IT. 22) CIRCE – ON POET’S ATTORNEY AND COUNSELOR LETTERHEAD – KING GEORGE, VIRGINIA – SIGNED – ANNOTATIONS: 174. F SOLD – THIS IS IN THE XMAS ? OF LIVE STORIES. MAYBE YOU WILL SEE IT. Please take a moment to view her auction. It is my hope that someone will be able to purchase these items and at least return them to King George, Virginia. I am sure the King George Historical Society would love to have them as much as I would. It would be so nice to have something that belonged to one of our residences back at the plantation. A return to ones roots can be liberating. Hoping these items find their way home! How nice if at least one item could be donated or at the very least given as a loan. I wish I was rich, rich, rich and I’d just buy the stuff up and donate to you! Aw you are so sweet. I wish we could do that. It’s an impressive collection. Hopefully it can find its way home. It really is. If it doesn’t, my hope it that it will go to a good home. Oh, my. It’s too bad it’s above your price point, but I hope it all goes to a good home, too. Yes I know. But we have hope it will.